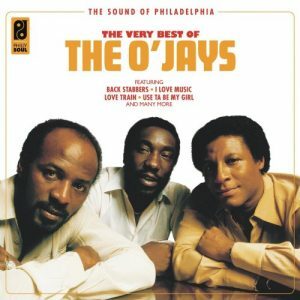 Released in the U.K. through Sony in 2014, The Very Best of the O’Jays is better than some of the other single-artist Philadelphia International anthologies issued at the same time. This covers the O’Jays’ 1972-1978 output for PIR with Top Ten U.S. R&B hits “Back Stabbers,” “Love Train,” “Time to Get Down,” “Put Your Hands Together,” “For the Love of Money,” “Give the People What They Want,” “I Love Music,” and “Use ta Be My Girl,” among others. It provides a decent overview of the period, though more serious listeners will want to look for more in-depth compilations, such as The Essential O’Jays, that cover a greater portion of the group’s discography.